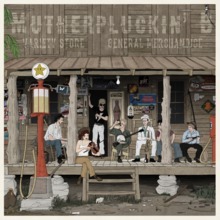 – Fifth Mutherpluckin' B album released! 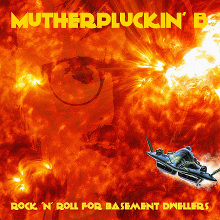 After nearly five years of varying degrees of work ethic, I can finally annouce a new Mutherpluckin' B album! As usual, it features vintage sounding rock 'n' roll versions of famous video game songs, but this time with vocals. Check it out on the Music page or go directly to the online streaming page. The full 16 track version of The Mushroom Variety Show is now available here for free. This means that if you haven't heard the album on Spotify, you can now stream or download the three extra tracks on this site. This includes a very nice Santana-inspired medley of Mega Man's Cut Man and the Outrun song Magical Sound Shower, featuring my good friend KGS on organ. Listen to the album here or download on the Music page. 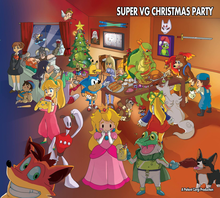 – Super VG Christmas Party is here! This is an awesome 42-track compilation of christmas/winter versions of video game songs, produced by Ian Luckey of Kirby's Dream Band and featuring many artists such as Random Encounter, CarbohydroM, The Oneups, Megabeardo and many more. I'm featured on one track, a disco/orchestra influenced cover of Alpine Peak from Donkey Kong Barrel Blast, assisted by five friends. Listen/download for free at the album's Bandcamp page, and check it out on Facebook.